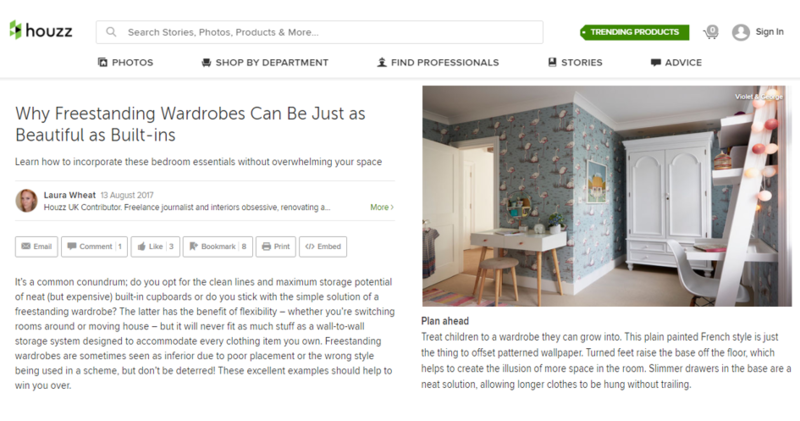 Featured on Houzz Bedrooms – “Why Freestanding Wardrobes Can Be Just As Beautiful As Built-in” August 2017. 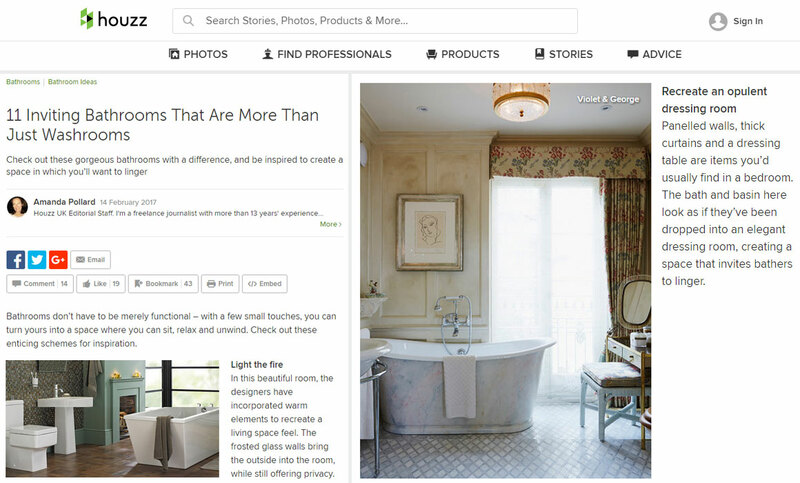 Houzz Bedrooms by Violet & George. 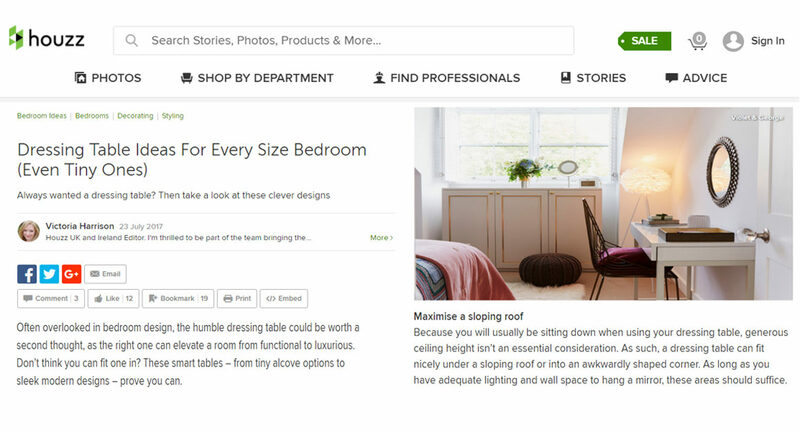 Featured on Houzz – “Dressing Table Ideas For Every Size Bedroom (Even Tiny Ones)” July 2017. Houzz Bedroom by Violet & George. Often overlooked in bedroom design, the humble dressing table could be worth a second thought, as the right one can elevate a room from functional to luxurious. Don’t think you can fit one in? 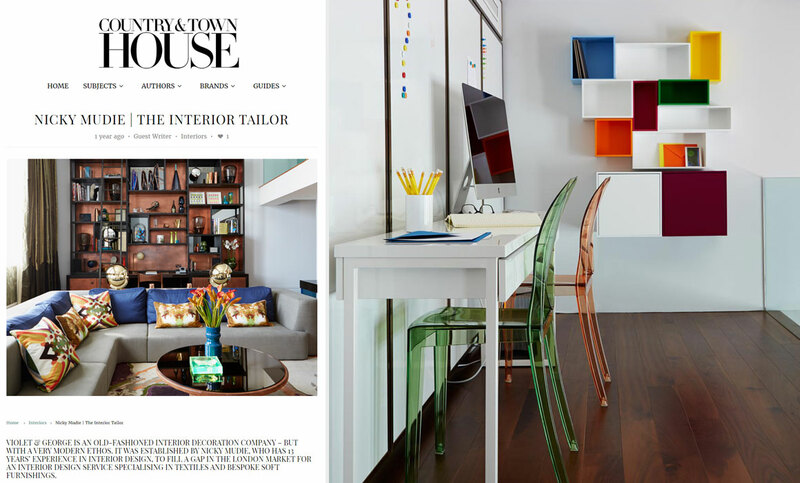 These smart tables – from tiny alcove options to sleek modern designs – prove you can. Featured on Interior Designer Houzz – “Bling It On: 4 ways to master metallics at home” May 2017. Houzz Bedroom by Violet & George Interior Dcoration. Metallic accents and decorations in gold, silver and copper have also been a popular part of Indian palaces and grand, traditional homes. Now, as the throwback trend is gaining momentum, metals are making their way back into modern interiors once again. It’s undeniable – these shiny elements can bring large doses of glamour to any space. Here’s how you too can welcome the sheen of metals into your home through simple yet effective ways. 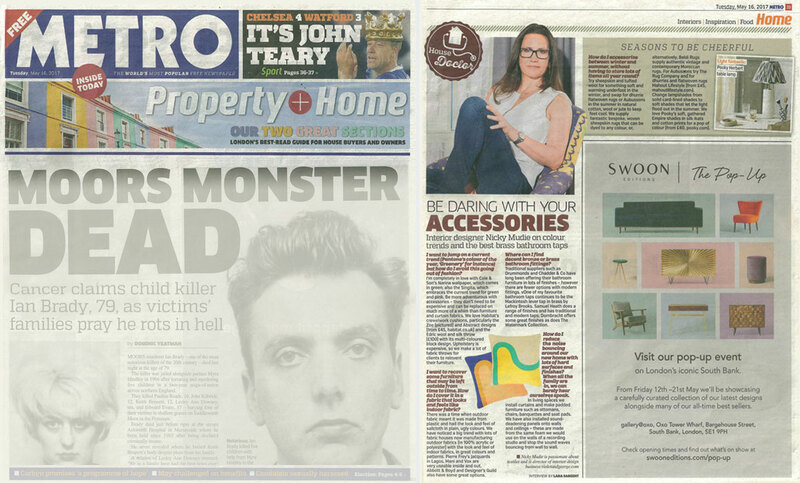 Interior designer Nicky Mudie on colour trends and the best brass bathroom taps. 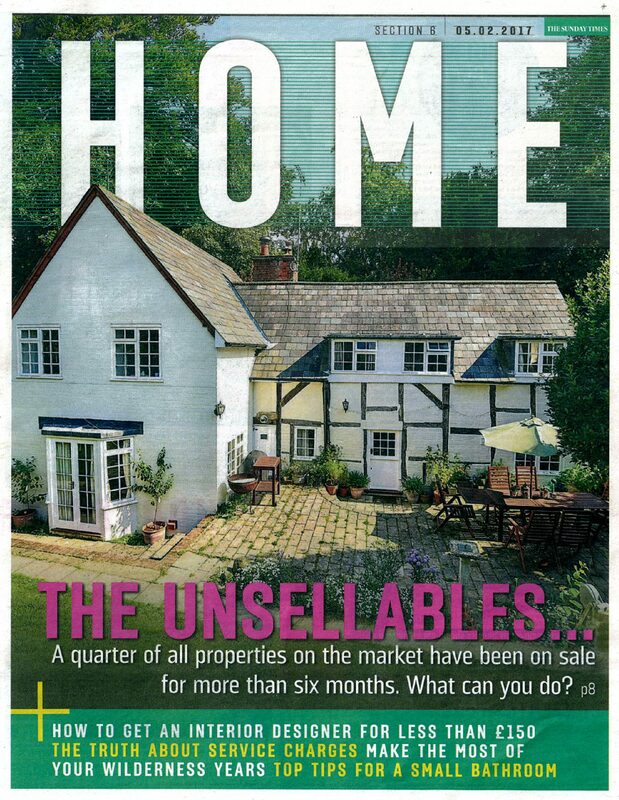 Contact us for more details on accessorising your home. Bathrooms don’t have to be merely functional – with a few small touches, you can turn yours into a space where you can sit, relax and unwind. Check out these enticing schemes for inspiration. 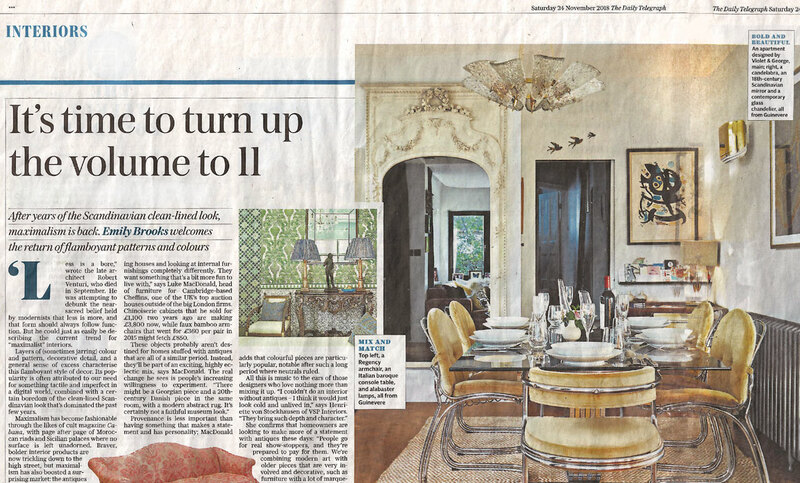 Top Interior Designer Violet & George is featured in “Live a Little” Sunday Times February 2017. 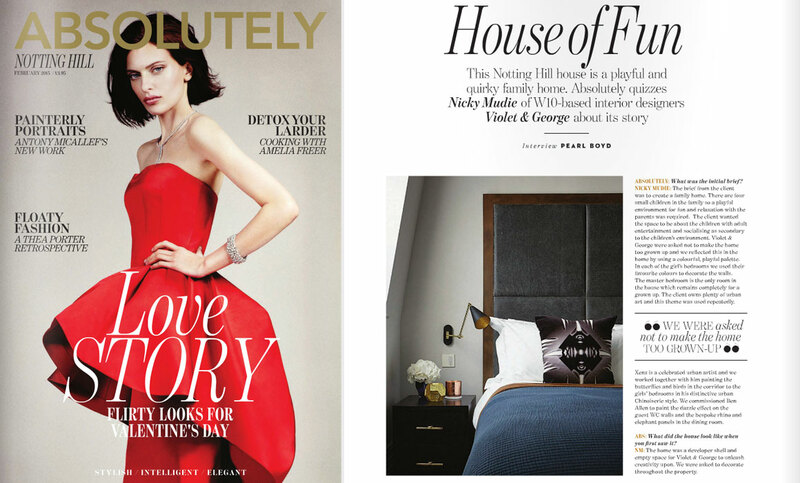 Compact bathrooms needn’t be short on glamour. This one, by the top interior designer Violet & George, combines Fired Earth’s hand-finished Riviera tiles in Cupleres with basin from Victorian Plumbing and a luxurious light – the Aurora wall-mounted single-arm sconce with glass shad from Waterworks. 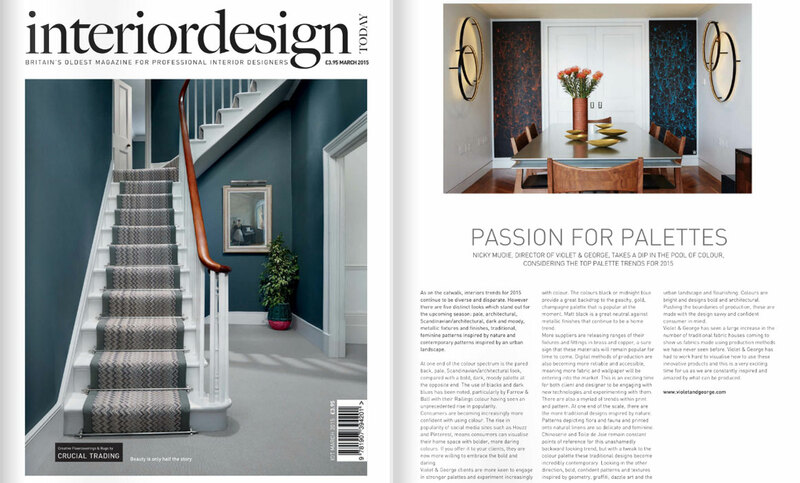 “Passion for Palettes” in the March 2015 edition of Interior Design Today.